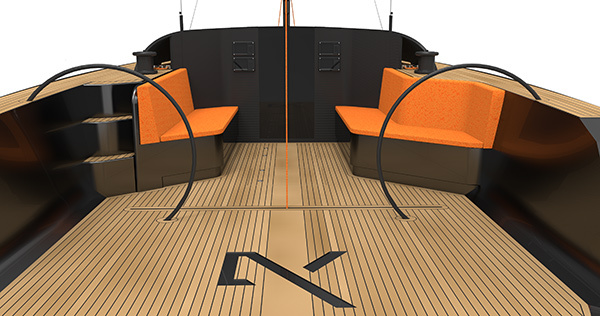 Overview: Designed for the daysailer market, the Axiom yacht focuses on innovation and renewal of the external and internal design of this type of vessel. Based on automotive aesthetics, the AY 45 is characterized by simplicity of form, straight lines, minimal finishing details and deck asymmetry that drives it living functionality. 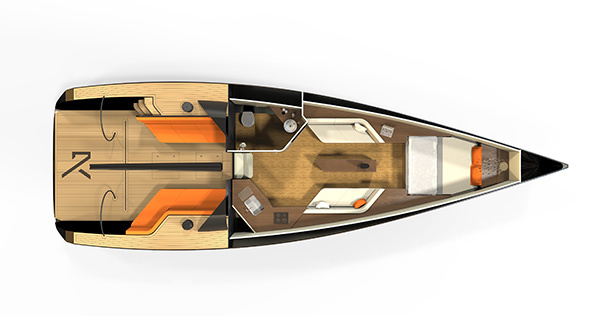 From the side it appears as any other conventional vessel, but from above, its versatile layout is apparent and thoughtfully arranged for passenger comfort.